The majority of the time when you’re having a problem losing weight, it’s not because you aren’t making good food choices. The reason your weight loss has stalled is because you’re not eating enough calories to lose weight. What Happens When You’re Not Eating Enough Calories? When most people start dieting, they slash their calories and add a large amount of exercise to their daily routine. That’s fine, but they usually cut their calories way too low. Add in the extra exercise, and all of a sudden you have an extreme calorie deficit that is working against you. Not eating enough calories causes many metabolic changes. Your body is a smart machine and senses any large decrease in dietary intake. Your large calorie deficit might work for a few days or even weeks, but eventually your body will wake up and sound alarms that it needs to conserve energy. It doesn’t want to just waste away. It needs energy to survive. So, what does your body do when it senses prolonged energy restriction? Muscles need lots of calories to maintain. 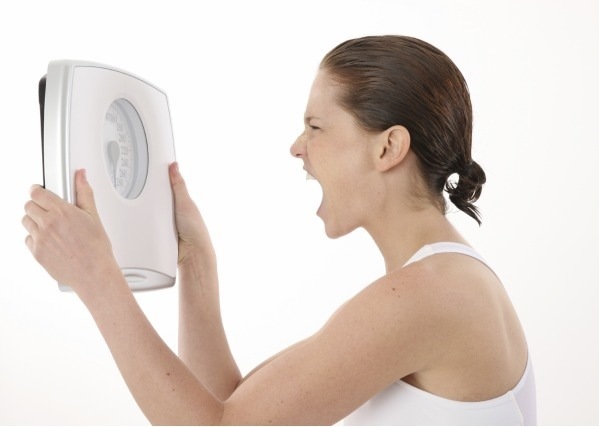 After a few days of extreme calorie deficit, it is one of the first things that your body gets rid of. Your body needs your stored fat and the muscle can be spared. It breaks down the muscle tissue and uses it for energy. An important hormone for both men and women, testosterone is just one of many hormones that are affected with severe calorie restriction . Testosterone is important to muscle tissue. Without it, it becomes that much harder to maintain, let alone increase muscle mass. Leptin, one of many energy regulating hormones. More importantly, it’s a “hunger” hormone that tells you whether to eat or not. High leptin levels signal that it’s OK to stop eating, while low leptin levels are a signal to eat more. There are many physical actions your body takes when you don’t eat enough calories to lose weight, but there are also some mental ones. Neurotransmitter production is limited, which can lead to a lack of motivation. It’s your body’s way of telling you to “slow down” – conserve your energy. Your goal should be to eat as many calories as possible and still lose weight. You always want to start high and then come down with your calorie intake. It’s much easier to do this than increasing calories after your weight loss has stalled and you’ve lost all your motivation. There is no perfect number. Each person’s metabolism is different. Calorie calculators are a good starting point, but they can’t take into account all your individualistic variables. The problem is most people want the weight gone, and they want it gone now. Weight loss is a patience game. It takes time and consistency to make it work. Losing 2lbs per week is the most I would aim for. At this pace, it will ensure that the majority of your weight loss is coming from stored body fat instead of muscle. You will also give yourself the best chance to build muscle while you lose fat, which is what you should be striving to do. 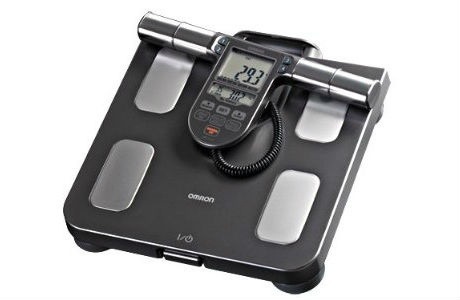 To find out what portion of your weight loss is fat and what portion is muscle, I highly recommend you book in for a body composition analysis session. It will make weight loss much easier if you can hold onto your muscle, or even put some on in the process. So, if your progress has stalled, but you think you’re eating the right foods and exercising intensely, it’s more than likely that you’re not eating enough calories to lose weight. Eat as much as you can, get in as many nutrients as possible, and your weight loss will start moving forward again. This entry was posted in Fat Loss, Healthy Eating and tagged calories, diets, Fat loss, leptin, metabolism, starvation, testosterone, thyroid, weight loss. Bookmark the permalink.